Cheap food or Employment Opportunities what will make a nation stronger ? 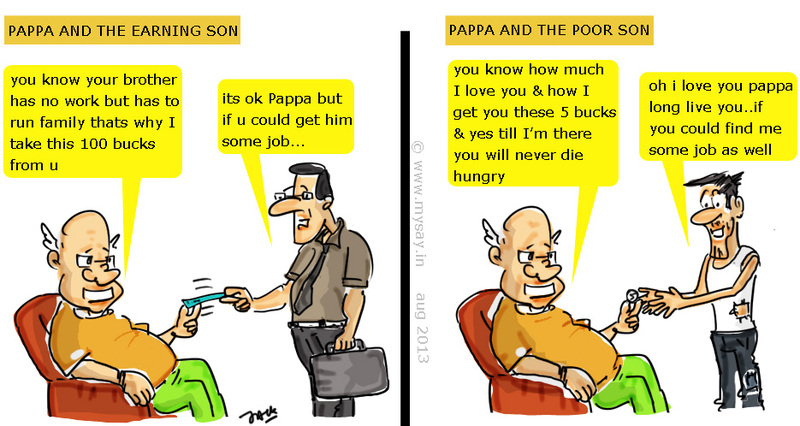 Co-Blogger friends – Pritam and Chinks rightly mentioned in my previous toon post on the Food Security Bill that instead of providing Employment and Industrial opportunities to make the nation self-dependent .. availability of Cheap Food Grain is rather making India dependent on Governments and subsidies !! Depending on Govt.That’s what they want,they just want to make Indians disabled like them and nothing else..
true Harsha, they just want to cripple and make us dependent on them entirely .. subsidies and reservation politics is the biggest weapon congress has been using since 6 decades ! Yeah…. the last nail in the coffin of the nation’s development! true !! indeed the last nail .. and that too using tax-payers money .. to utilize it 80 crore Indians Govt-dependent ! People are already dependent on the Government. Providing food is just a way to earn more votes and to decrease the incentives of working people. There is a lot of work which can be done to perfection by the use of labor, and rather than doing that, the Government wishes to provide free food. As I said before, it’s just a way to earn more votes and to continue spoiling our country through foolish ways. Agree…they target the people who do not care about what happens to the other citizens and they eagerly go on to achieve that..
Our politicians are just vote hungry, and do not wish for the betterment of the ‘general’ citizens of the nation. More than the bill making people disabled, my worry is where is the money to subsidize food grain? Also, are they really counting on the problematic PDS that had taken corruption to new highs? This is seriously ridiculous. Look at the way the economy is tanking. Akismet is playing bad games 🙁 even my comments are entering spams of wordpress hosted blogs 🙁 thanks you informed Rachna ! The Summary is What may fetch them easy votes … will surely bring enough trouble in coming days …Sania ji did talk about monitoring the entire distribution channel 😀 lets see what all big talks … give us in future ! Well said MS ! 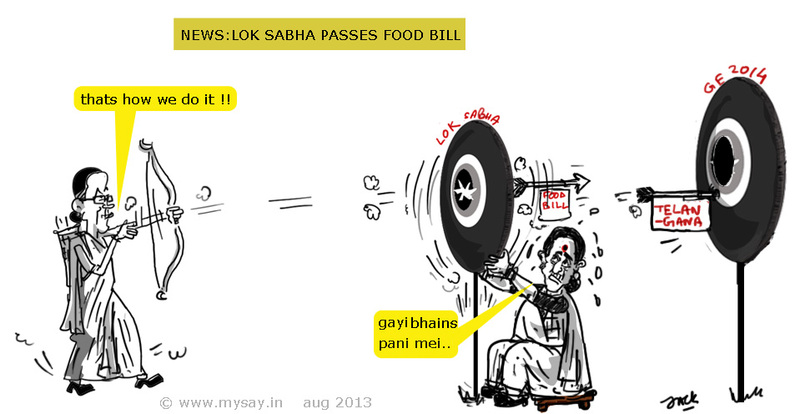 apt doodle… Food security bill is just another scheme to fill the pockets of politicians and bureaucrats in the name of filling poor people’s stomach. Politicians are busy finding new ways of corruption. Even the anti corruption bill is used for bargaining and filling their pockets. haha..! ;P I doubt dat is it really a food security or vote security ..!